When we think of February, many of us think of love and hearts. In relation to our bodies, our hearts play an important role in our ability to function. Since massage increases circulation and reduces stress, most people aren’t aware of when massage is beneficial and when it might not be. If there is heart disease, massage may require a few modifications or may not necessarily be beneficial, contrary to popular belief. Some of the different types of heart disease include hypertension, arrhythmia, congestive heart failure, angina, and coronary artery disease, just to name a few. Even if your condition is controlled, it is important to notify your massage therapist so that we can provide the safest and most effective treatment for you. This is why it is important for the massage therapist to review your health history/intake form, and for that information to be kept up-to-date. Typical massage strokes will often be done in long, flowing movements that help blood and lymphatic fluid flow towards the heart. This helps increase circulation and ensures that no strain will be put on the one-way veinous valves that help propel blood in the correct direction. When a person has moderate hypertension (high blood pressure) that is under control, or a more severe heart condition, those long strokes should become shorter and more localized to a smaller area of the body, and those localized areas will progress around the body in a way that does not overstimulate circulation. Some Asian styles of massage also may be helpful in this case, as those styles often emphasize movements that travel away from the heart in short, rocking movements. Clients who receive reflexology treatments may notice that the “heart” points on their hands and feet might be tender, or even too sore to touch. Good communication between the client and the therapist is always important, but this is especially so when a person is monitoring a medical condition. If something hurts a lot, or “makes your heart feel funny” always let the therapist know. 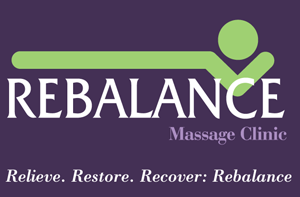 At Rebalance Massage Clinic, we do our best to customize every session to ensure that our clients receive massage care that is appropriate and helpful for the condition of their body. If you’d like to schedule an appointment, you can either call us at (732) 522-1587 or schedule online. Check Out Our New Home!